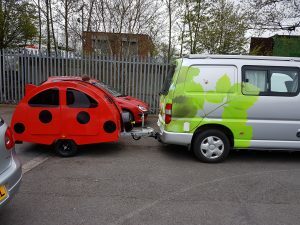 This is our new trailer known at The Snibston – it is aimed at a broad range of people…..
First group – if you only have a very small drive or not much room on your drive The Snibston will tuck into the smallest of gaps. Second group who only have a small car this can be legally towed by Smart cars. The Vauxhall’s smallest car at the moment is the Agila which can tow 200kg. Ford’s Ka could tow it BUT unfortunately if you have a Ka you probably know you cannot buy a type approved tow bar for this vehicle. Third group is the active person who doesn’t even have time to eat, so they load The Snibston up Thursday evening so when they finish work on Friday their kit is all ready and in winter when its dark there’s no messing about they straight off to the cliffs lakes or wherever their next expedition is taking them. 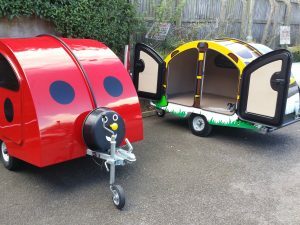 The fourth group are people who need a trailer that can do more than one job and do them all well. The Snibston can carry last month’s computer to the tip or pick up the feed for the chickens, etc. Because the door openings are designed to be at dining chair seat height it’s comfortable to sit and load/unload from both doors. 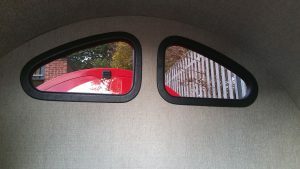 Unlike some that only have a rear door which means you have to climb in, in a crouching position. The last group and probably the most important is the price. 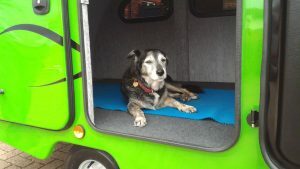 No other Pod Teardrop or Mini caravan is at this moment in time as low in price as The Snibston. This is excluding ones built at home where time and overheads are not a factor. Below are some interior views of the Snibston. Our pricing for all our products include VAT and there are no hidden extra charges. NEW! Spare wheel cover offered. NEW! We now offer full vinyl wrap in colours and textures of your choice. 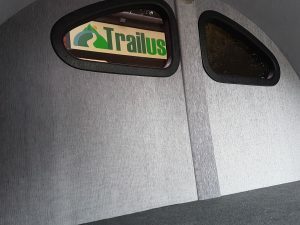 With any of these small teardrop caravans hardtents pods what ever you want to call them there is a need for insulation. It works like a thermos flask keeping hot things hot and cold things cold. Keeping you warm on the coldest of days and keeping the bulk of the summer heat out. We also offer a delivery service at an additional cost please contact us for a quote. Please Note This does not included general wear and tear items such as bulbs tyres bearing etc. or any through miss use.